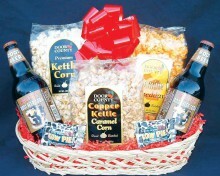 This basket will send holiday cheer to anyone on your list. 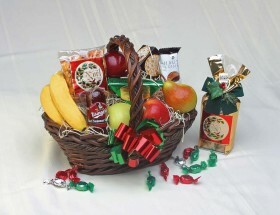 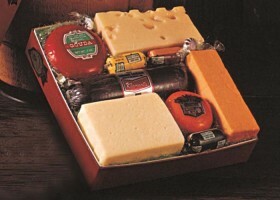 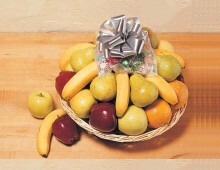 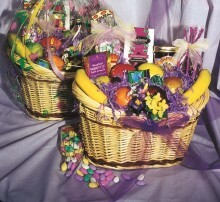 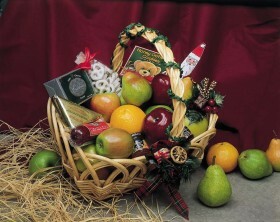 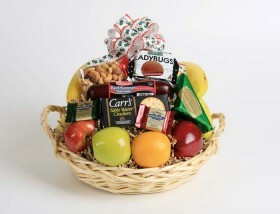 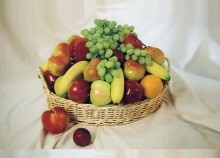 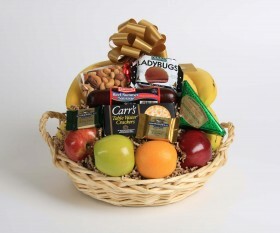 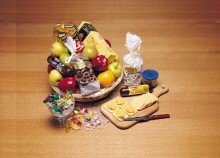 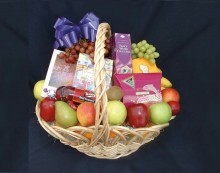 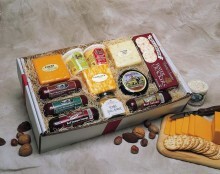 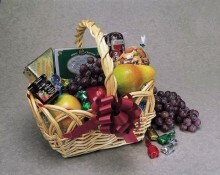 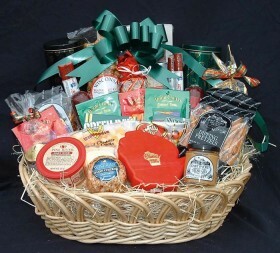 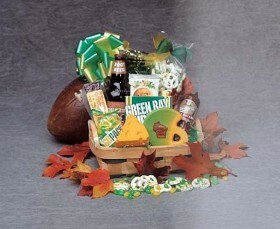 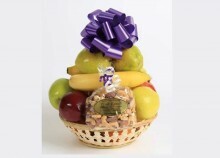 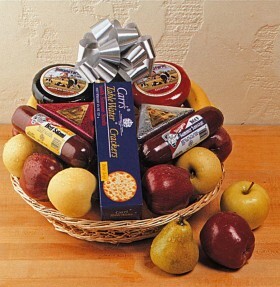 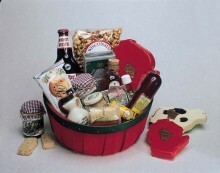 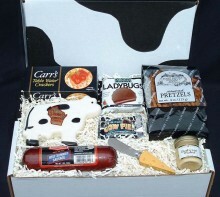 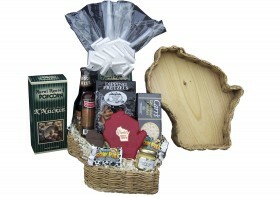 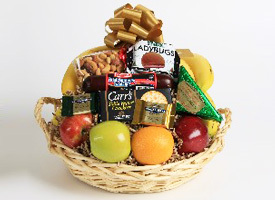 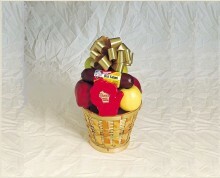 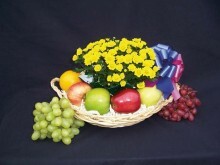 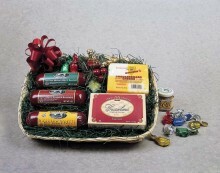 Executive basket filled with 16 pieces fresh fruit, cookies, holiday trail mix, colby-jack cheese, sausage and sprinkled with hard candy. 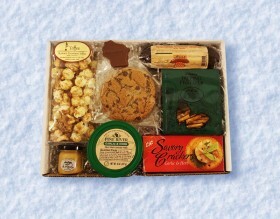 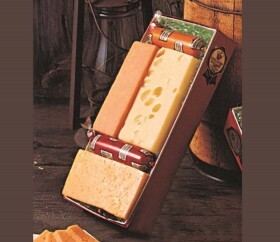 Includes Holiday Cheer - (Medium), plus selected Add-On items.